perceptionsense: "You're as Blind as a Bat!" "You're as Blind as a Bat!" This expression is used quite often in society, and usually refers to someone who has poor vision or are clumsy like a bat. 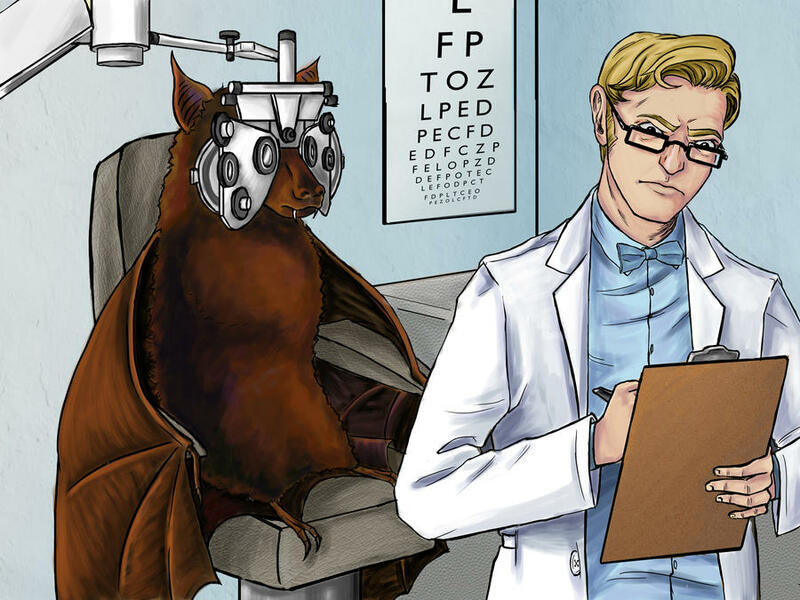 Although, research has proved that bats actually have incredible vision! Especially night vision but the quality of their receptors and senses depend on the type of bat. Barbara Schmidt-French and Carol Butler are the authors of a book on bats, state the difference between Megabats and Microbats. Megabats have much larger eyes and heavily rely on them to aid in hunting/flying. Microbats tend to have larger ears, and use their ability to echo-locate since it is more reliable than their vision. 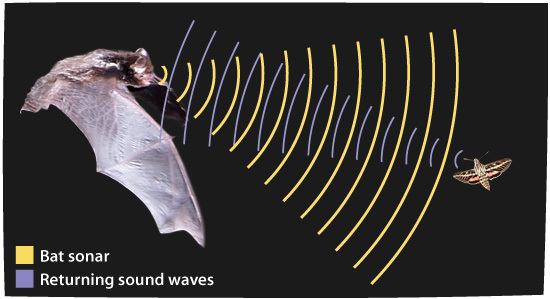 Echolocation is a very commonly known ability that is associated with bats. It is the ability to use sound waves and echoes made from their mouths or noses to pinpoint where objects are (relative to their current location). The waves hit an object and then echoes off to send a signal back to the bat. When they aren’t relying on their advanced hearing, they use their vision which is designed to work best in low light conditions. A research study found that bat’s mean rod to cone ratio is 39:1. Their color vision is not as sharp in comparison to their dark adaptation abilities. Overall this statement/myth has been debunked since some species of bats are known for their excellent vision that is better than humans especially during the late afternoon and night time.